A reader and a writer, a learner and a trainer, a ruminator and a researcher, an explorer and a theorizer – that’s it for now; and the heavenly father is dubbing more. 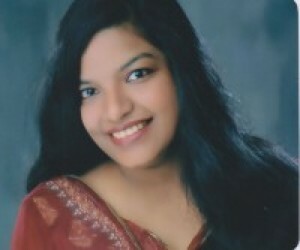 Priyadarshani Singh, an MBA from Pondicherry University with a background of science and computers is currently pursuing D. Phil from the Department of Commerce and Business Administration, University of Allahabad, Allahabad. She is researching on “Training and Development Practices in the Information Age”. She qualified NET (National Eligibility Test for Lectureship) examination in June 2013. Her pen has physicalized two books and many thoroughgoing academic research works published in renowned International academic journals. She has been part of many an events of national repute. Priyadarshani is member of All India Management Association (AIMA), National HRD (NHRD), Internet Society (ISOC), and International Society for Development and Sustainability (ISDS), Japan. Priyadarshani has vision for contributing in elevation as a whole via teaching, training, writing, social entrepreneurship, healing and spirituality.